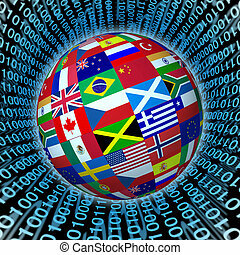 World sphere with international flags on a background with a binary code representing global communications. 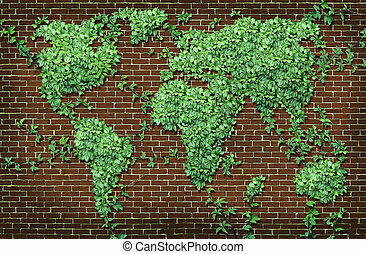 Global leaf map in the shape of growing green vine plant on a red brick wall as a world concept of network connections with the Americas and Europe and Africa Asia Australia attached through natural branches. 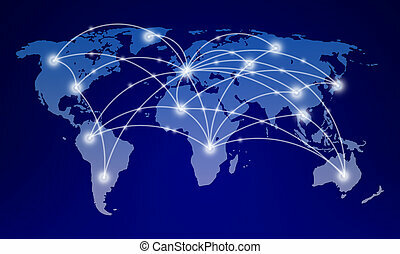 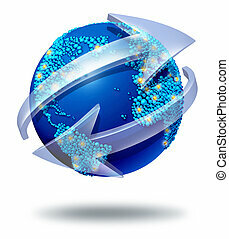 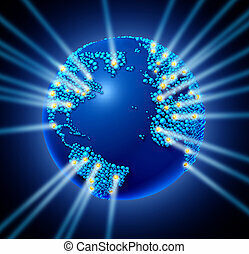 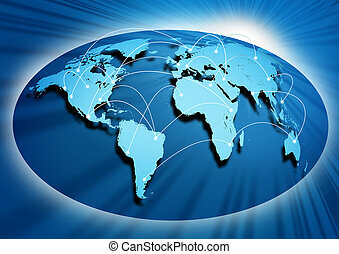 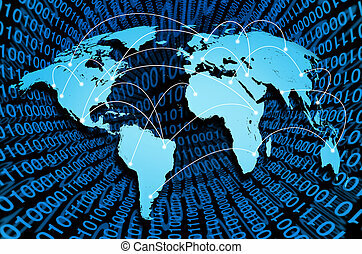 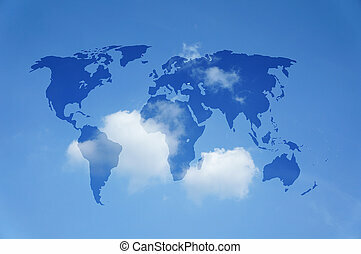 Global communications symbol and connections concept with a blue international globe of the world with two curved arrows around a large sphere with smaller spheres shaped as countries as a social exchange and trade icon for imports and exports. 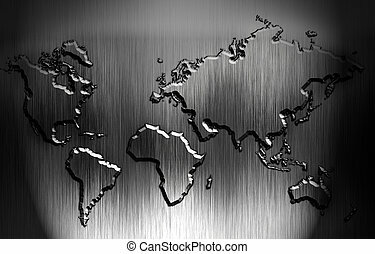 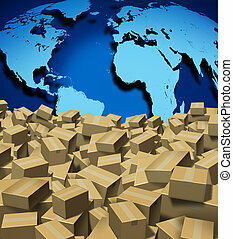 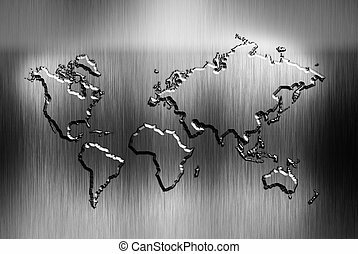 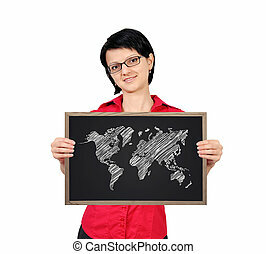 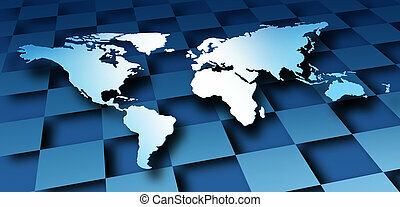 Three dimensional grey world map with USA Europe Africa the Americas and Asia as an international symbol of global communications and intercontinental business based on a 3D illustration of an earth model. 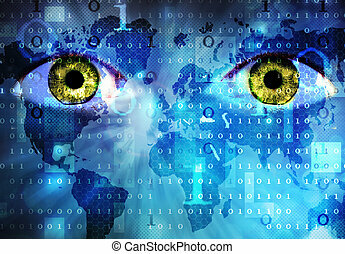 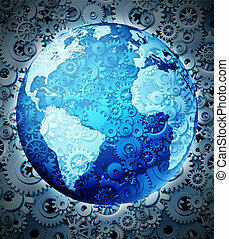 International global business and world economic partnership concept with a three dimensional sphere with a world map shaped with gears and cogs as a financial symbol and internet communications. 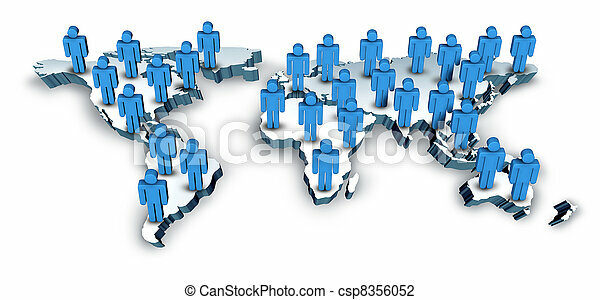 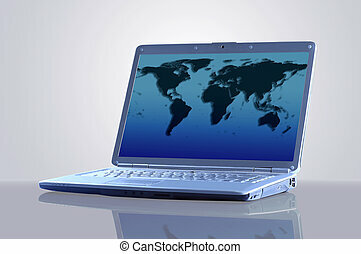 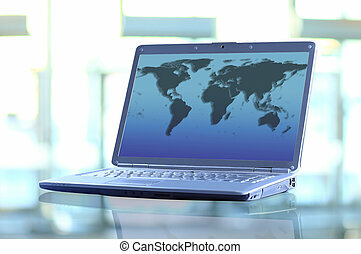 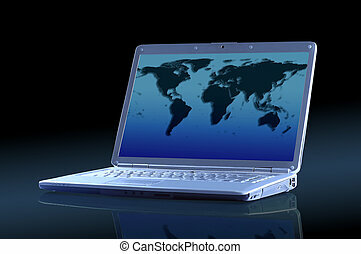 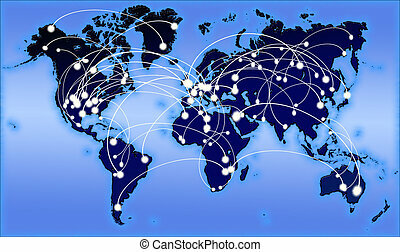 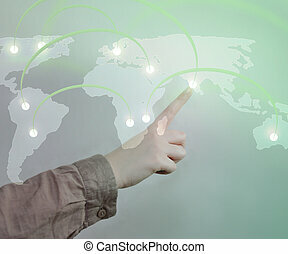 Global networking symbol of international comunication featuring a world map concept with connecting technology communities using computers and other digital devices.. 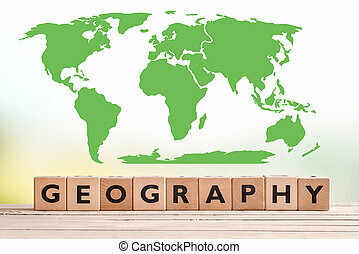 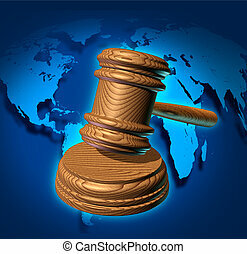 Global law and international business justice system with a judge gavel or mallet making a judgement based on government regulations with a world map in the background. 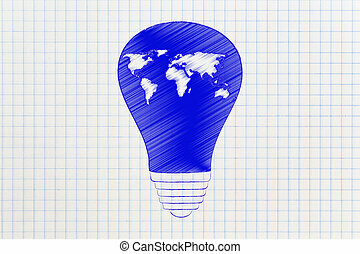 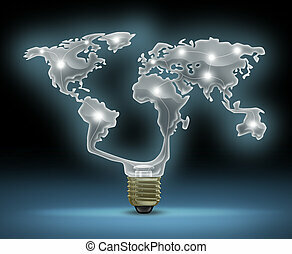 Global innovation symbol with a glowing glass light bulb shaped as the world map representing the business concept of new and future inventions in international technology and design creativity. 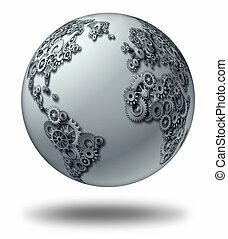 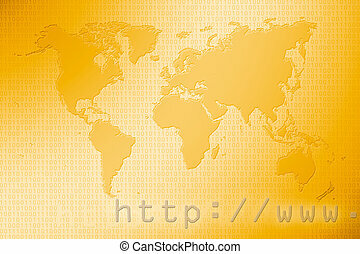 Global investment and business economy with a three dimensional world map on a texture of gears and cogs representing financial international trade and wealth management throough a network of connections. 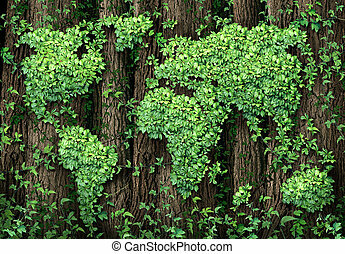 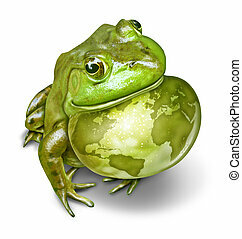 Global development and the green economy as a businesss concept with a map of the world made of an organized group vine leaves growing on forest trees as an environmental conservation symbol.